549 B.C. to 333 B.C. migrated into India and settled with the local inhabitants. 2. The term “Aryan” means “nobles” and has nothing to do with Hitler’s Aryans. Were a tribal society during the time Hittite, Assyrian and Neo-Babylonian empires. The Medes controlled the Persians until the coming of Cyrus the Great 559-530 B.C. Cyrus was a brilliant military and diplomatic leader. He won battles and knew how to exploit the internal unrest among his enemies. He was able to convince the Medean army to defect to his side (549 B.C.). He then quickly conquered Asia Minor. From there, he conquered the Neo-Babylonians (539 B.C.) without a fight. Cyrus started the great Achaemenid Dynasty. He freed the Hebrews from their “Babylonian Captivity” and allowed them to return to Palestine. Cyrus divided his empire into 12 provinces called Satrapies, with a ruling Satrap, or governor. Local government fell under the control of the local Satrap. Royal troops were stationed near each Satrapy to encourage the loyalty of the Satraps. He codified laws, standardized taxes, and had a reputation for fairness. 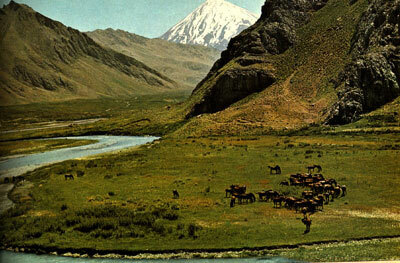 Old Persian became the official language for the empire. After Cyrus’s death, his son Cambyses (529-522 B.C.) ruled. He extended the empire to Egypt. A few years after Cambyses had conquered Egypt, he decided to inspect the Syrian territories of his empire. While there, Cambyses learned that his brother (or a man pretending to be Cambyses’s brother), who was at the capital city of Susa, had staged rebellion to take over the Persian Empire. Herodotus tells us that while leaping onto his horse, Cambyses broke the hilt of his sword. The blade cut deep into Cambyses’s thigh. The thigh became infected, and Cambyses died of gangrene blood poisoning. 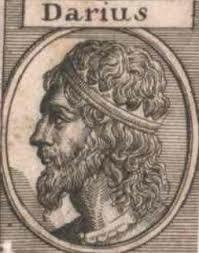 Darius I, who was the spear-bearer for Cambyses, assasinated Cambyses’s brother (or perhaps the pretender) with the help of a few Persian nobles. These nobles proclaimed Darius to be the next Great King of Persia. 1. Darius had a familial link to Cyrus through his marriage to Cyrus’s daughter, Atossa. He used this link to seize power. 2. He made many improvements to the empire. Allowed conquered people to keep their customs and religions. Darius had two new capitals built: one in Susa and the more important one in Persepolis. He extended his empire to the Indus Valley and built a canal to the Red Sea in Egypt. Son of Darius I. He is known for his building projects and his defeat by the Greeks at Salamis. 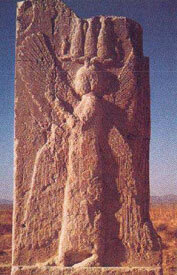 Zoroaster was the creator and prophet of the state-religion of Persia. This religion still exists and is called Zoroastrianism. Zoroaster lived between 1,500 and 1,000 B.C., somewhere between Iran, Afghanistan, and Turkmenistan. He was considered to be a reformer of the Persian religion. 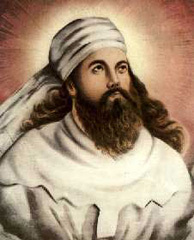 Zoroaster taught tolerance, respect for others, doing good, and struggling against evil. Central scripture is called the Avesta. The Avesta is comprised of several psalms (poetic religious songs) called the Gathas. This is a monotheistic religion (belief in one god). 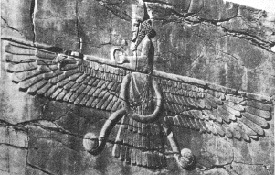 Ahura Mazda – The Supreme Being. He is an all-good creator god. Fire is his sacred symbol, and fire is used in his worship. Angra Mainyu (Ahriman)—Evil brother of Ahura Mazda. He is all evil and creator of all evil things. 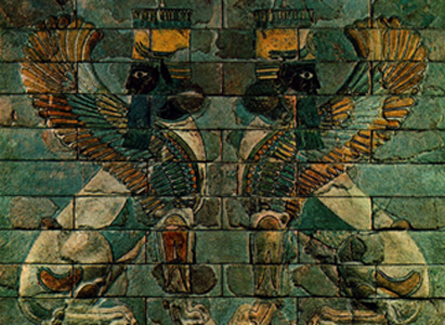 Ahura Mazda and Ahriman oppose each other. They are engaged in a continual battle to determine whether good will triumph over evil, or evil triumph over good. This battle is believed to continue for 6000 years. Zoroastrians (Zarathustis) believe that eventually Ahura Mazda will win the battle, and all good people will join him in paradise. Zoroaster taught that all humans must make a choice to either be on the side of good or the side of evil (the Truth or the Lie). A person makes this choice through his/her ethical behavior. If one lives ethically, he/she has chosen to be on the side of Ahura Mazda. If he/she lives unethically, he/she has chosen Ahriman. Zoroastrianism is thought to have influenced the ancient Hebrews in their beliefs of a devil, Hell, paradise, and the last judgment.